There is a collision of nature and industry up there that I find captivating and in this new work, I focused on elements of the place and the life at sea that inspired me as a young greenhorn. 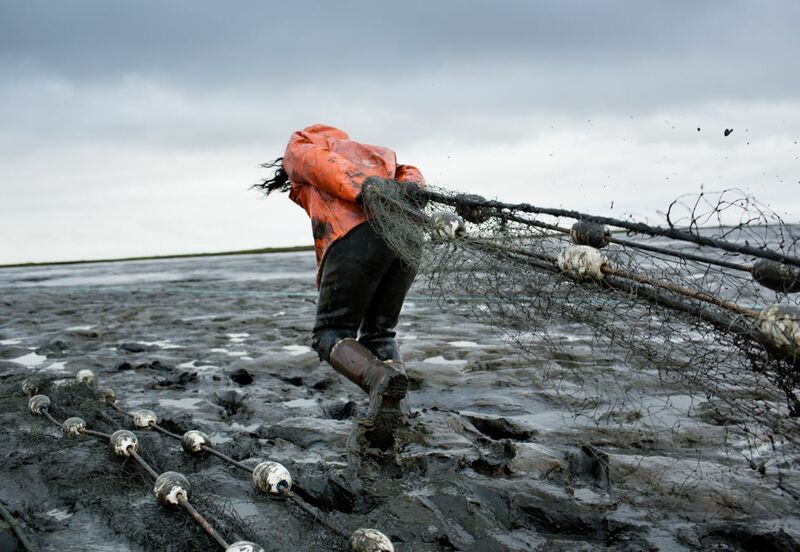 A commercial fisherman by trade, Corey Arnold has worked seasonally in Alaska since 1995, including seven years of crabbing in the Bering Sea aboard the fishing vessel Rollo. 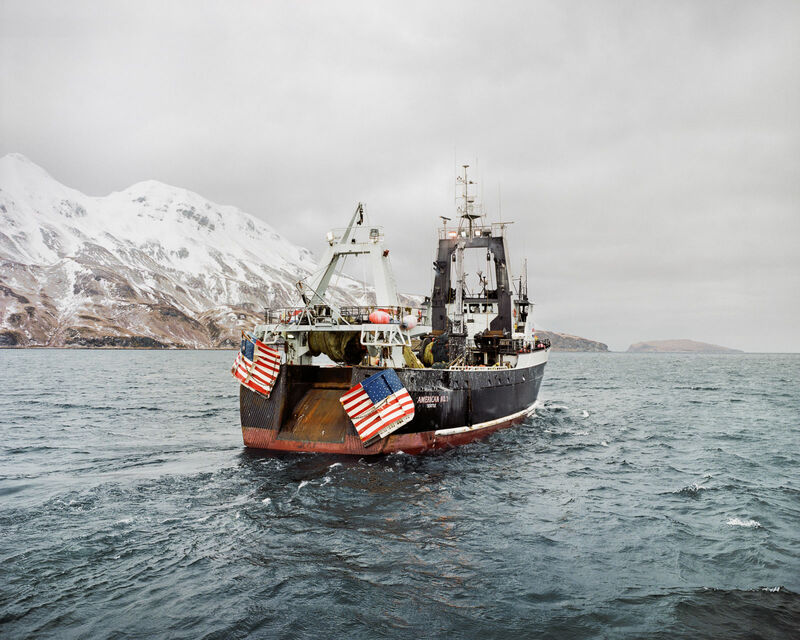 While from March 21 - April 27, 2019, renowned photographer Corey Arnold will present his latest body of work from his arctic expedition in Svalbard, through a solo exhibition entitled Hornsund at Charles A. Hartman Fine Art in Portland, we called Corey on the phone to discuss the extreme weather conditions at sea, the camaraderie between fishermen and his work entitled Aleutian Dreams, a "behind the scenes that normal people don’t ever experience", able to document a world few of us will ever experience in Dutch Harbor in Alaska. 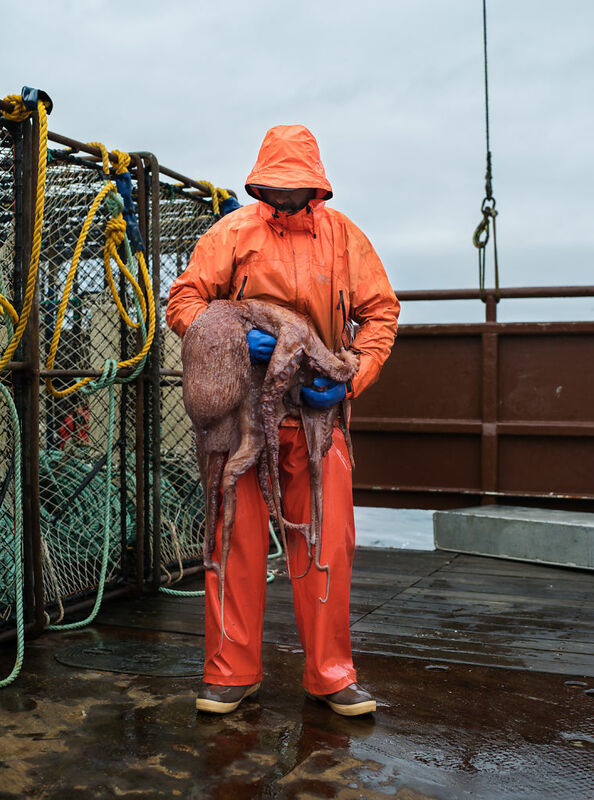 Capturing the crab boats and trawlers, scavenging noble eagles, curious foxes, mountains of nets and crashing seas, Arnold’s work documents the visceral experience of life at sea. 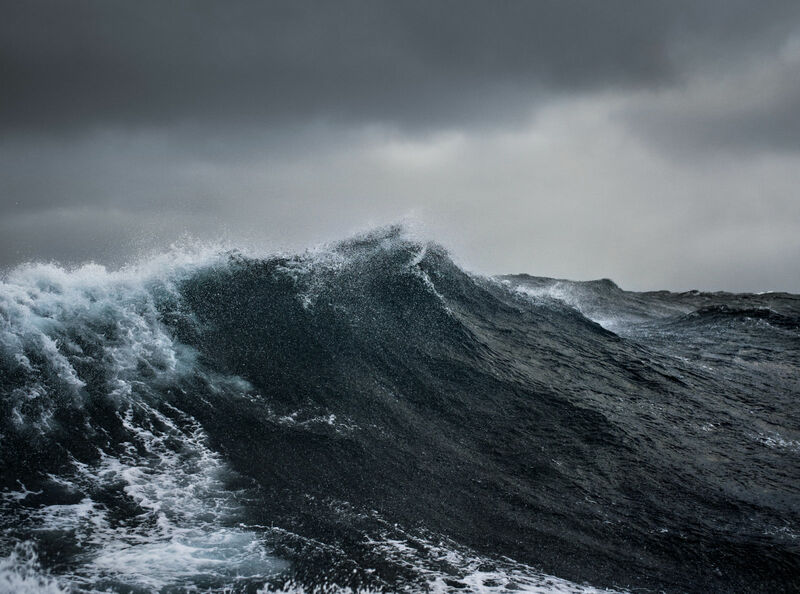 Through a subtle series of pictures, Corey Arnold unveils his natural fascination for the ocean. 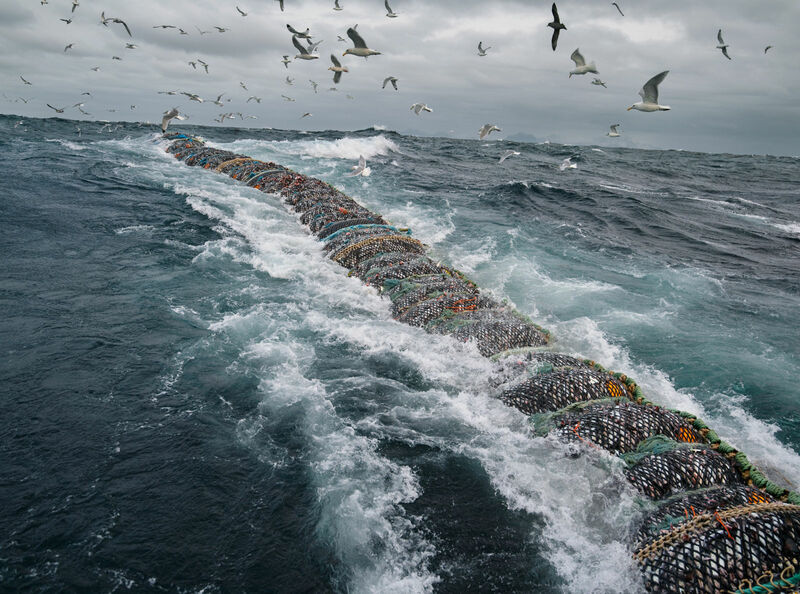 "In recent trips, I joined fisherman at sea aboard crabbers and trawlers, and on land documenting the surreal landscape of the fishing culture that once captured my imagination as a young greenhorn. Aleutian Dreams is a collection of new images from my journey through this wild and unforgiving frontier of Western Alaska," he said. "Those who come here often possess a desire to escape the safety of home to work in an environment filled with risk and visual grandeur that is far from ordinary." Meeting. I started commercial fishing in 1995, working on a salmon boat in Bristol Bay, Alaska. After skipping just a couple of years, I’ve worked on fishing boats for about 19 years of my life. What first drew me? My dad was addicted to sport fishing and loved the ocean. I grew up in Southern California fishing with my dad out of our small boat almost every weekend. 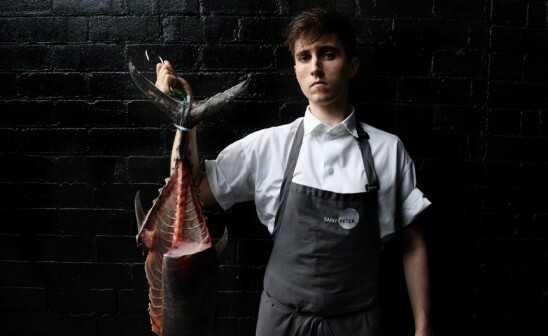 It was his escape from a busy work week as an avocado farmer and tropical plant grower. As small kid, there are pictures of me holding fish that I caught while wearing diapers. Fishing became sort of an identity to me and stories I brought home from my trips of strange encounters with sea creatures and adventure were a curiosity to my friends who didn’t fish. I started to understand that I had this unique and special experience in life that few get the opportunity to see. So fishing came first? When and why did you decide to combine fishing and photography? I graduated from photography school at the Academy of Art, San Francisco in 1999. The whole time I was going to school, I was spending my summers in Alaska, commercial fishing for salmon. At that point, I never really thought of seriously photographing my life up there. I was making more conceptual artsy kind of photography work. I wasn’t influenced at first influenced by the documentary aesthetic but after assisting commercial photographers for a couple of years, I realized I didn’t really want to be stuck making commercial work that did not inspire me. I started crabbing because I could make good money doing work outside was physically strenuous but ultimately fulfilling. I thought the chances of making a living as a photographer would be very slim, and so running a fishing boat would another option that appealed to me equally. 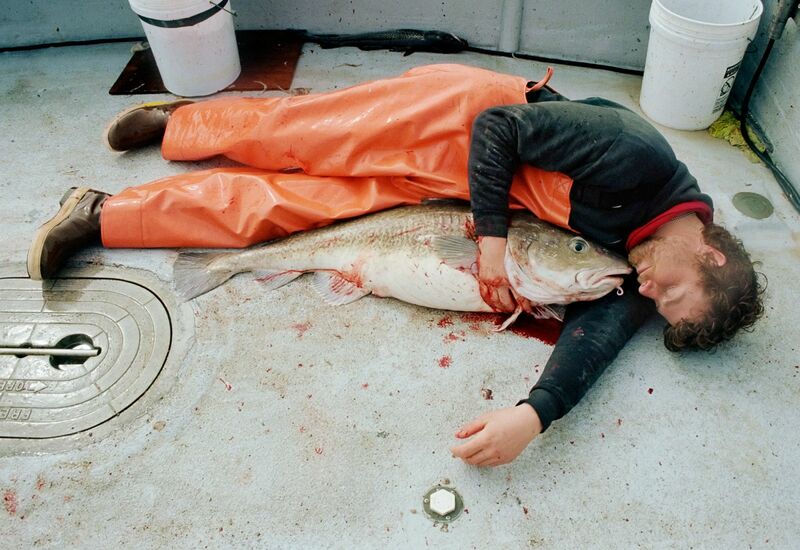 Then I started photographing my life as I fished and that’s when my Fish-Work series began to get attention on the internet and I began to get a lot of work as a photographer. You’re trying to photograph your world while actually working as a fisherman. Is that the most challenging part of it? It is not possible to have my camera in my hand while working on the boat. You often can’t capture the most dramatic moments while fishing because you are too busy dealing with a storm or maybe a problem with the fishing gear, therefore you miss out on a lot of incredible moments. In my new series, Aleutian Dreams, I returned to the Aleutian islands this time to photograph instead of fish in order to capture the life that I couldn’t previously. There is a collision of nature and industry up there that I find captivating and in this new work, I focused on elements of the place and the life at sea that inspired me as a young greenhorn. As a new fisherman going up there what is most striking is the scale of nature and the oversized tools needed to harvest and survive under such harsh conditions. I love the Aleutians because it feels like you’re in on a strange behind the scenes secret, and that ‘normal’ people don’t ever experience such things. Bald eagles, foxes, crazy seagulls, a dark sea, a literally frozen boat, huge waves looking like huge walls of water… it’s a wild place out there. As a fisherman, what draws you back to the wilderness year after year? 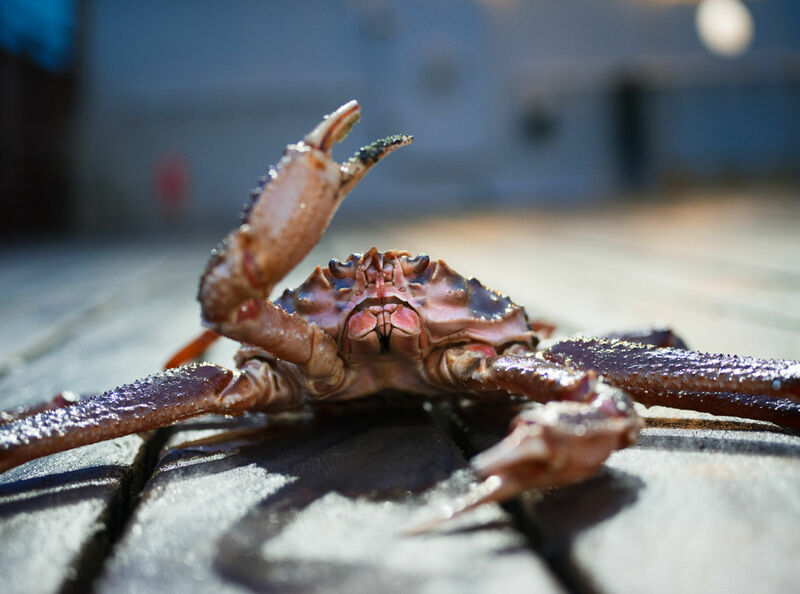 When I started crabbing I thought I would only do it for a couple of years and then move on. But once you start making friends and connections in that world, it begins to shape your identity and I ended up working on the same boat for seven years. We became close friends and there’s this camaraderie, like we’re all in this together, battling for survival through sleepless nights. It is an exciting adrenaline rush, but none of us would do it if we weren’t making good money as well. No one would do this work for free, or just for fun. I liken it to those who run marathons or climb mountains. The struggle can be complete hell and very dangerous, but why are people willing to do it? They do it for the feeling of invincibility, the sense of achievement. It’s kind of the same thing. To me, I love that fishing is authentic and that we are doing something very tangible... feeding people. 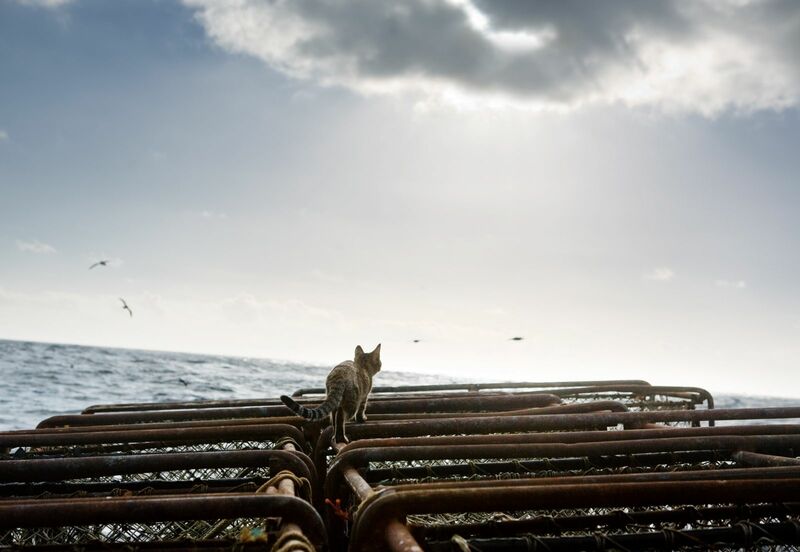 There also many people working as fishermen because it’s the only thing they know. You don’t need an education to be a fisherman, all you have to do is outwork everyone to get ahead. What I’m trying to say is like… for example »Make America Great Again«. Whose dream is that? What does the American Dream look like? 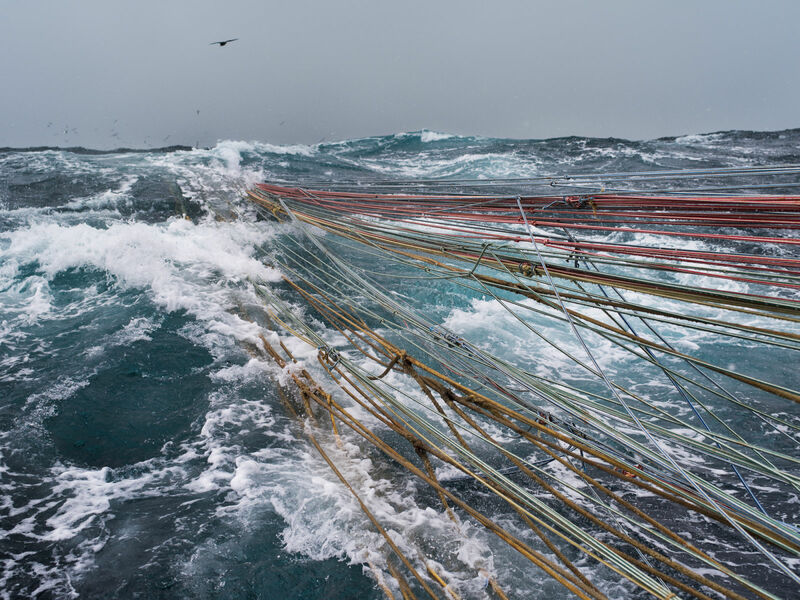 The fishing industry in the Aleutian Islands, as dangerous it is, as messy as it is, you can go out there and you can find this American Dream. Its a dream that might look like a nightmare to some, but a certain breed of human thrives off its gritty reality. You can make good money and have this experience. The eagle, our national symbol, is not always the stoic icon we see on postage stamps and nature documentaries, it can also be a scavenger and opportunist feasting off human garbage in town. Their population is thriving because of the food fishermen have brought to the island, but is that “great”? Maybe for the eagle or maybe not, its all about perception. I’m very interested in these kind of themes. You have some sick shots of eagles. How did you manage to be so close to this Bald Eagle? 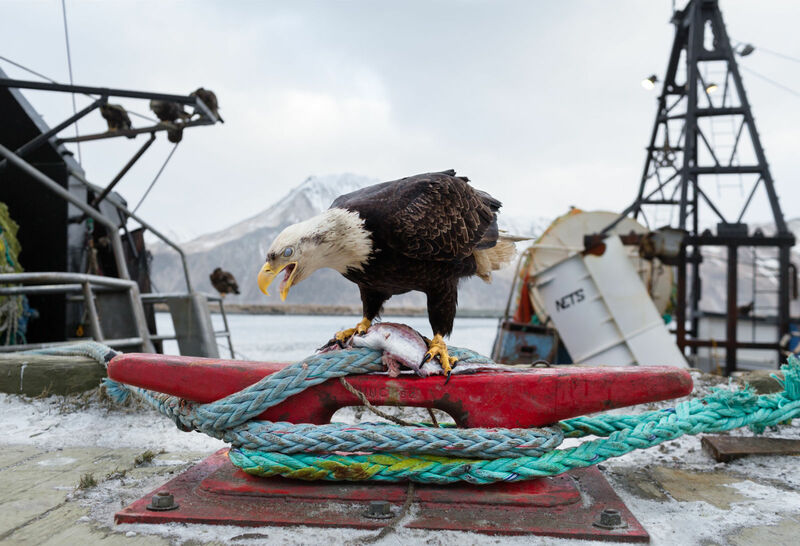 Due to the amount of fishing boats coming in, the fish leftovers, nets on decks and all the garbage, the eagle population has been out of control. There’s 500 to 800 bald eagles living near the town of Dutch Harbor, Alaska. They’re feasting off human waste in garbage and pulling fish off the decks of boats everywhere. They’re so used to being close to humans that once I walked up to and eagle in a a garbage can and it was completely buried in garbage. It was very vulnerable but really didn’t care, it just screamed at me to go away. They have become quite accustomed to humans since they are protected by law from harm. We mentioned the huge waves in the Bering Sea and the extreme weather conditions. 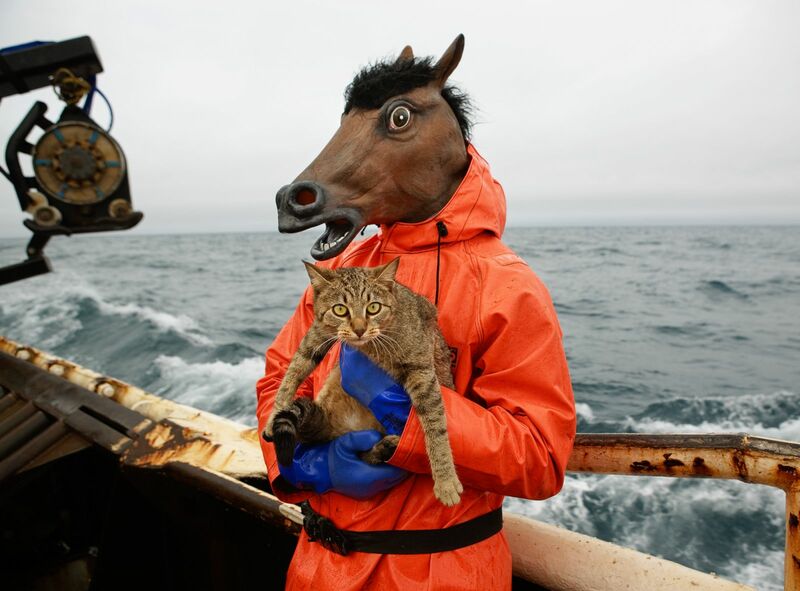 Working on the Bering Sea is extremely demanding. Can you describe your most vivid memory of fishing out there? Earlier this year aboard the f/v Arctic Lady, another crab boat travelling about 50km from disappeared without warning and 6 men vanished with no trace. 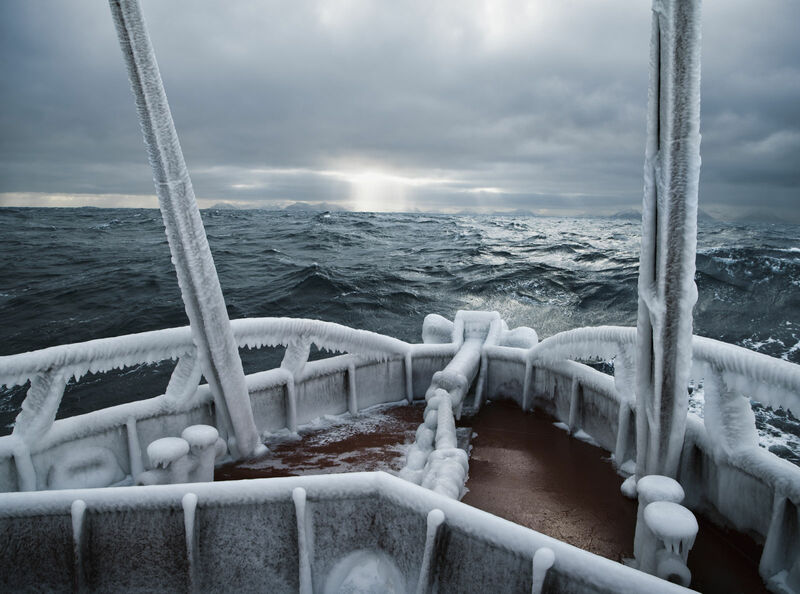 A cold storm had struck with freezing spray that formed ice on our bow and crab pots on deck. When you have freezing spray, the boat gets heavier and heavier as the ice begins to grow exponentially on itself. The boat was carrying a full load of heavy crab pots and taking on a lot of ice, combined with strong tides and wind and so it likely rolled over without warning, but no one will ever know for sure. I’ve been fishing in the ocean my whole life, but the first day that I worked on the Bering Sea, I saw waves twice as big as I’ve ever seen in my life. So it’s all very alarming and it doesn’t seem as if you could actually fish in this weather. It’s crazy but when you look around, you see the other guys and the captain just calmly going about their work. Then you start thinking maybe we’re okay! After a while, you get used to it too. And the work becomes very monotonous, very repetitive, day after day. It’s a mental challenge to deal with the repetitiveness and sleeplessness. Today, you live in an abandoned cannery in Bristol Bay, Alaska, during the salmon fishing season in June and July. What are the things you love about Alaska? To me it’s a complete escape from the world of technology and email. I just want to get away from it. My photography is pretty demanding, working on images on a computer and emailing. Then when I go to my fish camp in Alaska, it’s two months of total disconnect. I really need that... it’s really important to have that time to reset. I want more of that feeling in my life and by the end of the season, I find it very hard to leave. It’s important to have that disconnect to re-evaluate what’s important in life. Out there, it’s all about relationships with all the other fishermen that live in the camp. We’re constantly hanging out, chatting, telling stories. No one’s looking at their mobile phone, texting. That’s mainly what I love. Anything can happen, the weather changes so rapidly, there are so many unknowns, nothing is normal about life up there. 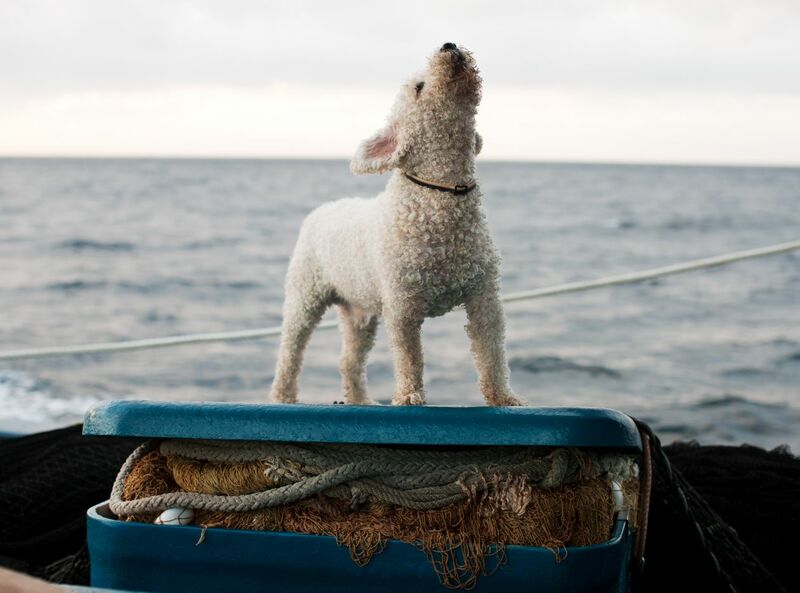 You’ve been documenting the visceral experience of life at sea for more than 15 years now. 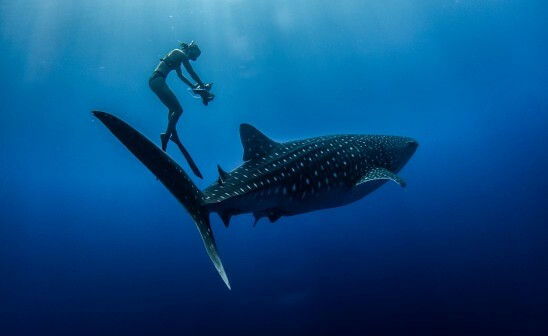 How would you describe your relationship with the the sea today? It’s a love/hate relationship. If you finally get a good nights sleep, then you wake up excited about the next day. Sleeplessness creates this psychosis where people can easily get grumpy. It’s crazy! There are lots of ups and downs emotionally in fishing. Sometimes you catch nothing for days, then, all of of a sudden, fish come en masse and adrenaline is pumping and it’s exciting. I love the highs and lows, and the uncertainty of it all, it makes for an interesting life. I’m doing these two exhibitions at Richard Heller Gallery in Los Angeles, and at Charles A. Hartman Fine Art in Portland. The last few weeks have been crazy because I shot a lot of the new work in February and only had a few weeks to print, mount and frame both shows. That was kind of nuts but its working out! The work in Los Angeles is up on the wall and the second opening is April 6, 2017 in Portland. In June I leave once again to fish salmon in Alaska. Next year, I’m going to do a big project on fishing in Norway. I have already photographed quite a bit in Lofoten and Finnmark, Norway but I think I have grown a lot more over the years as a photographer so I’d like to revisit and work on a much larger project in Norway. 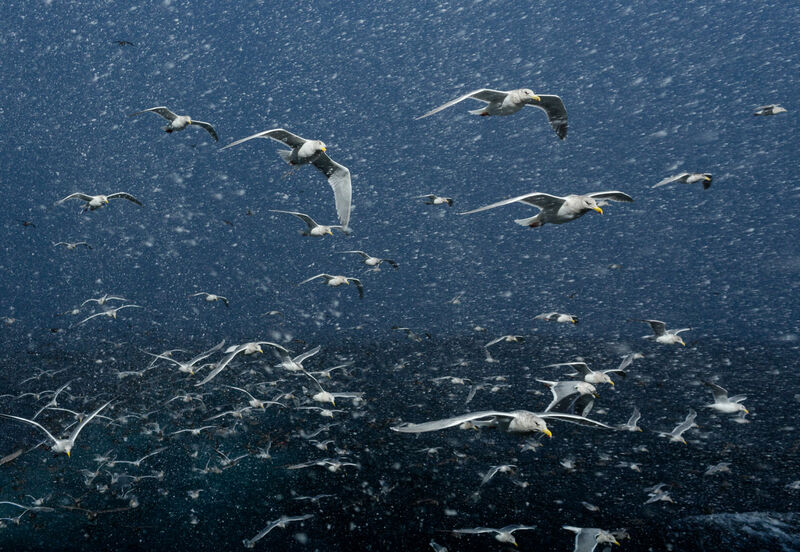 Discover more about Corey Arnold's work on his website.